Though technically a Sydney-based band, Sun's rightful birthplace was right here in the 'Gong in 1968; 1966 if you're searching for a more tenuous link. Formed in '66 and made up of Allan Vander Linden (guitar), Gary Norwell (drums), Warren Bell (bass/trumpet) and Jim Guest (piano), The Chromatix only played a handful of gigs, most notably the New Years Eve Party at the new Wollongong Town Hall in the same year as their formation. According to Norwell, The Chromatix played a lot of Tijuana-styled brass tunes as well as some surf-instrumental music which, as Grampa Simpson might say, was the style of the time. In '67 The Cromatix morphed into Shades of Truth with Graeme Wood replacing Vander Linden, and Ian Johnstone coming in on organ, replacing Guest. Shades of Truth did a few shows at Zondrae's playing a bunch of Monkees, Stones, Kinks and Donovan covers. Joining the band on bass at this stage was Tom Thompson who lived down the road from Norwell. Meanwhile Vander Linden had formed blues outfit Spoonful with Craig Hunt (vocals), Keith Shadwick (tenor sax), Dave Smith (drums) and Henry Correy (bass). This line-up of Spoonful also played a handful of gigs at Zondrae's, and when Smith left the drum seat empty, Norwell filled the vacancy. Hunt left soon after, opening the way for Ian 'Jamie' Smith (from Justin Arthur) to join the line-up. Ian Smith was well-known around the traps due to being a regular columnist for the then-scene bible Go-Set. The new-look Spoonful changed their name, first to The Hokum Jugg Band and then to The King Biscuit Flour Show Blues Band - an obscure 1930's blues reference, in case you were wondering. King Biscuit, as the band eventually became known, also featured the artistic talents of Peter Kiwi whose experimental approach to the bands' light show was considered ahead of its time. In his memoirs Tom Thompson refers to a performance of King Biscuit which was reviewed by the school magazine: "Last on the programme was The King Biscuit Band who made you listen because you could not hear anything else." The band entered the regional leg of Hoadley's Battle of the Bands in 1969 to be held at Wonderland. Complete with Kiwi's 30ft backlit translucent - and some may say phallic - purple balloon, the band scored the runner-up's spot, coming second only to Last Weeks' Washing. Along with regular spots at Wonderland, King Biscuit also picked up gigs at Pioneer Hall, Corrimal Community Hall and took the honour of being the first blues band to play Wollongong Leagues Club. By this time the band had included some Hendrix, Zeppelin and Jeff Beck tunes into their repertoire, catering to the small contingent of the audience who were hip to these young upstarts. In 1970 the band headed to Sydney and worked the Uni circuit, regularly taking in Paddington Town Hall before undergoing another line-up, repertoire and name change. 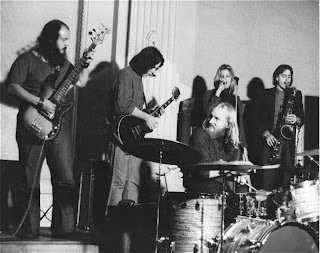 Following the departure of Vander Linden (who went on to join Gunga Din) in 1971, King Biscuit recruited Chris Sonnenberg, changed it's name to Sun, and adopted a more jazz-influenced sound, playing wine bars , universities , school dances and nightclubs with a set that included material by John Coltrane and Archie Shepp. By now the line-up also featured electric pianist George Almanza. Ian Smith left the band in 1972 to be replaced with a young, fresh-faced Renee Geyer. 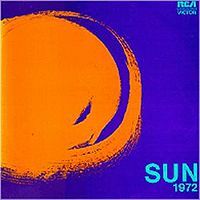 Though Geyer's tenure was brief (12 months), it was during this period that Sun recorded their one and only available recording for RCA Records, Sun 1972. The album, featuring nine original compositions that ranged from soul to free-form jazz to psych rock, was what some may term a commercial failure. As such, the album has never been re-issued and has since become something of a holy grail in the world of Australian record collectors. Indeed, a near-mint copy of the album was recently spotted on eBay fetching US$250. Following the release of Sun 1972 Starlee Ford replaced Geyer and Tony Slavich replaced Almanza. Under the direction of Norwell and Shadwick Sun began exploring the extremities of freeform jazz, however, this was met with some opposition within the band. 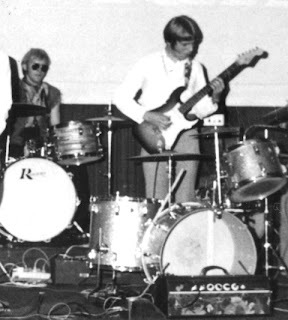 Due to a counter-push to move into prog-rock territory, Norwell and Shadwick both left the band in 1973, leaving Correy as the only original Wollongong-raised member. Following Sun's eventual demise in 1976, Correy went into band management, whilst forging a successful career as a blues artist. Correy formed The Correydoors and played the Blues Jams at the Oxford Tavern for about three years. Following the Correydoors, Correy continued playing as a solo artist and has since released a string of solo albums and achieved international recognition. Following his split from Sun, Shadwick commenced work on a solo album with Norwell's assistance. However, due to life taking the pair in different directions it would be more than three decades before the album finally saw the light of day. Norwell played with TV Jones briefly (an early incarnation of which featured Deniz Tek of Radio Birdman) as well as Sheila, a feminist womens band in Sydney, before relocating back to Wollongong in 1979. In 1983 Norwell joined Animal Farm featuring Ewan Sommerville (who would go on to form Whose Muddy Shoes). Meanwhile, Shadwick relocated to Melbourne and joined The Bleeding Hearts as well as The High Rise Bombers (featuring Martin Armiger of Sports, and Paul Kelly) before returning to his homeland of England and landing a job as editor for Music Trades International magazine. In 1985, Shadwick, somewhat ironically, became head of marketing for RCA Classics, though it does not appear that he used his influence to have Sun 1972 reissued. In 1989 Shadwick would become the head of Koch International but in 1992 would go freelance, writing for various jazz and classics publications, presenting a number of radio shows and writing biographies of Bill Evans, Jimi Hendrix and Led Zeppelin. In 2008 Candid Records released Free Time - the album Shadwick had started work on with Norwell thirty-five years prior. Unfortunately, Shadwick would lose his fight to mesothelioma five days before it's release. Proceeds from Free Time are being donated to Londons' Barts Hospital. Vander Linden currently works as a music teacher in Balgownie, is a member of Monkeys Uncle and has worked with local blues songstress Anni Piper, Kappen Hand, Boots and Tassles and numerous others. Early Shades of Truth bassist Tom Thompson became secretary of the Australian Blues Society at 15, before taking over Ian Smith's post as Go-Set's Wollongong columnist. Thompson went into journalism covering art, books and cabaret before going into publishing at HarperCollins and working on titles such as Paul Kelly's Lyrics and Archie Roach's You Have The Power. More recently Thompson has re-engaged with Norwell and Vander Linden on a 15-part serial for ABC project and is looking forward to producing a King Biscuit EP in 2011. Thanks to Gary Norwell, Allan Vander Linden, Tom Thompson and Henry Correy for their help with this piece, and to 'Micko' over at MidozTouch who provided the LP rip. Gary Norwell was my first drummer in a duo playing the dragon fountain in about 1980 I think from memory.